This entry was posted on October 19, 2011 by Wayne Frost. 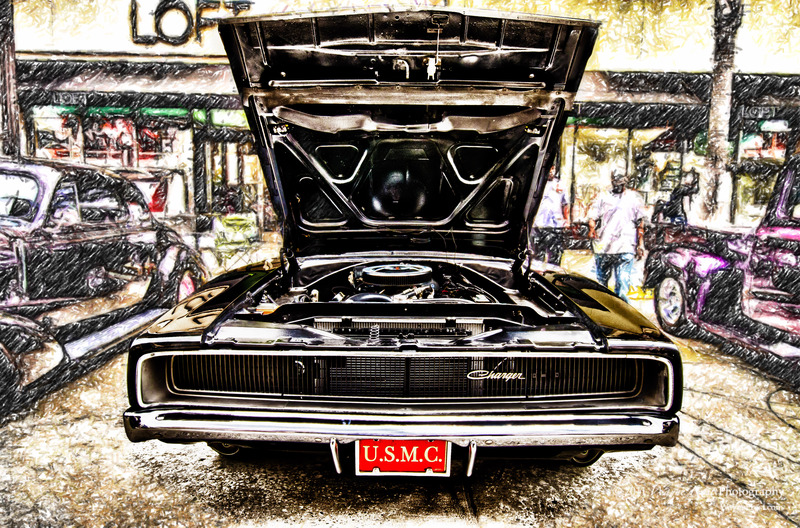 It was filed under Automotive, HDR, Interpretive Digital Image, Photography and was tagged with automobile, black, car, charger, classic, digital, dodge, HDR, image, interpretive, marine, Pasadena, photography, Police, show, usmc. That’s really cool how you combined the different processing styles to really make this pop. Nice work man. Thanks, Aaron. Trying to put my own spin on the automotive stuff.